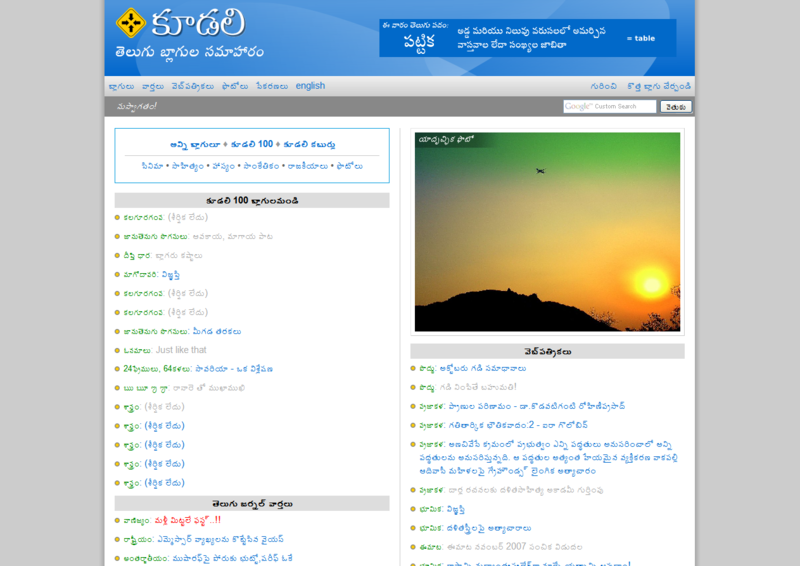 Koodali, a Telugu blog aggregator gets new look. You can read the detailed changes to Koodali in my Telugu blog. Koodali is the first Telugu blog aggregator. It started with just aggregating Telugu blog posts. Currently, it also aggregates Telugu webzines, Telugu news, photo blogs of Telugu people and also English posts written by Telugu people. As of today, Koodali’s Alex rank is at 164,190. Cinema is the biggest entertainment for Indian masses and classes. If things about cinema and movies fascinate you, there is something for you in the Telugu blogosphere. Film reviews, discussions about cinema, articles relating movies and film industry, (what not? )â€” a lot is happening. There are some blogs that exclusively and regularly feature movie related posts. Some other bloggers regularly share their views about movies they watched. The following are the lists you need.